Art in the Park, the annual juried outdoor exhibition of fine art and fine craft, is Lawrence’s premiere arts event and is sponsored by the Lawrence Art Guild. 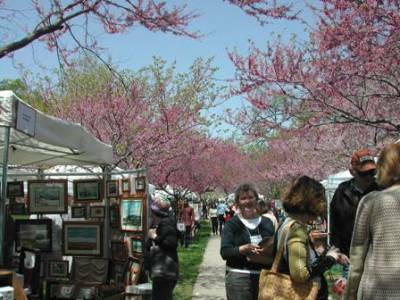 Featuring the highest quality work by many area artists and craftspeople, as well as continuous musical entertainment, food vendors, and family fun, Art in the Park typically attracts thousands of people. It is the Lawrence Art Guild’s primary fund-raising event. This is the longest running event, 55 years, in Lawrence, Kansas. Art in the Park is in South Park, 12th & Massachusetts, at the south end of beautiful downtown Lawrence, and is always the first Sunday of May. The event is open to the public from 10:00 am to 5:00 pm. (Rain cancellation will be announced that morning on KLWN 1320AM radio, the Lawrence Art Guild’s Facebook page (facebook.com/lawrenceartguildassociation) and at 785-760-4800 by 7:00 am.